Tintype Album ca. 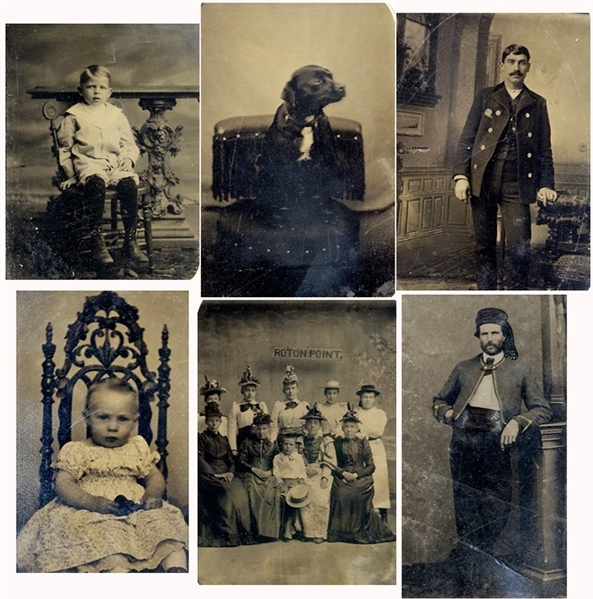 1890 with four (4) images of Roton Point Amusement Park, Norwalk, CT images; one (1) of man wearing zouave uniform and one (1) dog seated in chair. Thirty (30) images total. Leatherbound. Cover separated. Very good condition.